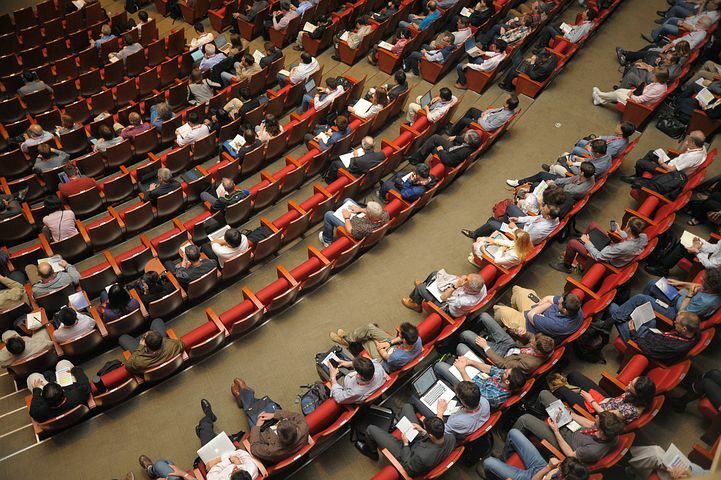 If you are planning on going to a tech conference to showcase your business, you’re going to be competing with a lot of motivated people for the same attention in your target audience’s minds. Because of this, you need to do everything possible to create a buzz for your brand in a particularly memorable way. But, it’s important to recognize that every other company is going there to showcase their stuff as well. It will be a triage of who is the most creative in context. In broad strokes, what are some things that you can do to help you create this buzz? First of all, you need to optimize your brand visibility. If people don’t recognize your logo, your slogan, your colors, or your products, then you’re not going to be able to leverage any attention that you get into physical sales or consumer trust. Second, open up the availability of online conversations. In other words, recognize the importance of social media for business, and have a welcoming environment for people in the digital realm. Third, as you prepare your presentation, appreciate the essence of virality. Everything that you should do should be smooth to share, sticky, and cohesive with the idea of viral movement outward from the central concept. One of the first things that you should do when creating a presentation for your business or your brand is to optimize your visibility. The most straightforward way to do this is by creating excellent signage and graphic design for every piece of the puzzle. You should have beautiful items and signs printed out for people to look at or potentially take with them. If you can do things like having stickers, buttons, or other small branded items available for people, this is another way to increase your visibility. Another suitable method for creating a consistent buzz for your company is to open up online conversation potential. You need to set up a Facebook business page. You need to have an available company website. Any social media platform that’s out there – you have to have a branded presence. Even if you don’t use it excessively as some companies do, it’s vital that your overall marketing efforts cover every facet of the social media sphere. If people want to get a hold of you through a specific social platform, you should have that pathway available to them. Are you aware of what type of content goes viral? If so, then every single thing that you should do promoting and advertising your company or your brand should meet the criteria. It is not easy to do! People spend their entire lives trying to crack into the viral spectrum, only to fail miserably. But that doesn’t mean that you shouldn’t try. If there is only one thing that your company has go viral, it should link to the rest of your products in a way that promotes the viability of the quality of everything else that you do.